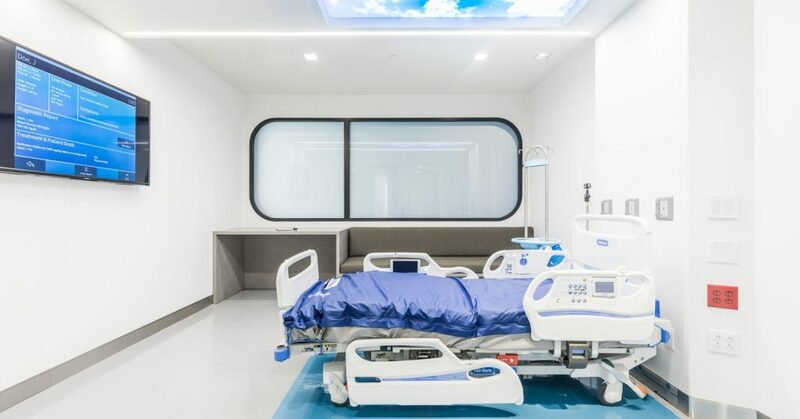 Over the last few decades, the healthcare facilities in India have been steadily progressing in standard and stature till now they have started to rival those in western countries. In a nation of over a billion, there is no lack of academic brilliance and aptitude. This is why India has an enormous number of superbly trained doctors, nurses, lab technicians, radiologists, etc. people from over 70 countries seek treatment in India. This includes patients from the USA who are unable to afford the steep cost of health care. In comparison hospitals in India deliver the same procedures for 10-20% of the price. This ultra-modern hospital has 675 beds and is located in Delhi the capital and nerve center of India. Its surgery department is said to be the most advanced in South Asia. 20% of the beds here are reserved for poor patients. The hospital boasts of 2,000 beds as well as the most advanced ICU in the country. It also leads other hospitals in the treatment of trauma and emergency care. Founded in 1926 this hospital is operated by the Greater Mumbai Municipal Corporation. It has 1800 beds and treats 18 lakh OPD patients and 75,000 in patients every year. 390 experienced doctors many of whom are leading names in their field are associated with this hospital. Named after its founder this hospital has facilities for the latest treatments in every field. This multi-specialty hospital provides treatment for all diseases from cancer to heart and nerve problems. The wealthiest Indian Mukesh Ambani built this hospital dedicated to his mother in 2010. With 750 beds and the latest diagnostic tools at its disposal it has emerged as one of the topmost hospitals in India in less than a decade. Not only minimally invasive surgery but robot-assisted joint replacements and cardiac surgery are also performed here. There are advanced treatments available for plastic and cosmetic surgery as well in this massive building with 750 beds. The hospital specializes in chemotherapy and radiotherapy for cancer management. Established in 2009 by the esteemed cardiac surgeon Dr. Naresh Trehan it is known as one of the top hospitals in India. With 1250 beds the hospital is spread across several acres of land. Till date, the hospital has successfully performed 15,000 cardiac surgeries and 2,500 kidney transplants. It is here that India’s first successful intestinal transplant happened. Set up in 1978 by a social service organization it is one of the most advanced hospitals in India. With the latest tools and extremely well-trained physicians, it has been certified by several organizations as an excellent healthcare provider. With over 300 beds at its disposal, the hospital is well known for the interventional cardiology department. Founded in 1960 it is one of the leading hospitals in India. In 2014 the hospital introduced robot-assisted surgery on patients suffering from renal impairment. It is well known as one of the prime postgraduate medical training institutes in the country. Run by Christian missionaries this hospital established in 1900 by an American has emerged in the last two decades as the most reputed and trusted center for healthcare. From neurosurgery to heart transplant and cancer therapy – all types of treatment is found in this conglomerate of several hospitals located in and around Vellore in Tamil Nadu. The first heart transplant in India happened here in 1961 and the first kidney transplant in 1971. Its efforts were recognized by the WHO in 2015. The All India Institute of Medical Sciences is the leading government-run healthcare facility in India. Built in 1956 the hospital is a leading research center in new and emerging fields such as stem cell therapy and has several collaborations with western hospitals and universities. With 11 branches spread across the country, it offers undergraduate and postgraduate medical training to the best and brightest. The excellent infrastructure of AIIMS makes it the premier center for treatment in north India.